The sign-up page lists several Canadian carriers; Bell, Eastlink, Fido, Freedom, Rogers, SaskTel, Telus, Videotron and Virgin Mobile. This is likely just a gathering of the demographics interested in the device, so take this list of carriers with a grain of salt. 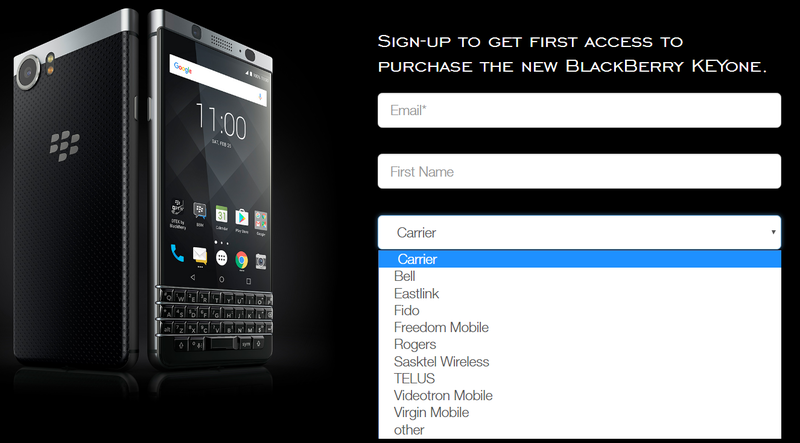 Have you signed up for the BlackBerry KEYone? Let us know in the comments below!